The Best El Paso Blogs from thousands of El Paso blogs in our index using search and social metrics. We’ve carefully selected these websites because they are actively working to educate, inspire, and empower their readers with frequent updates and high-quality information. El Paso About Blog The City Magazine is El Paso's premier CITY lifestyle magazine in the Sun City. We are committed to capturing the attention of our readers by highlighting the melting pot of people, places and lifestyle that make our beautiful city unique. Our readers can always look forward to finding stories about current events, fashion, culture, home, dining, entertainment, business and beyond in the pages of our publication. Facebook fans 11,555. Twitter followers n/a. 2. Downtown El Paso – What's happening in DWNTWN El Paso. El Paso, TX About Blog DOWNTOWN El Paso (DTEP) is keepin' it AUTHENTICO with a community at the City's center, events, restaurants, nightlife, border shopping, business, art, and entertainment! Facebook fans 21,050. Twitter followers 10,805. Facebook fans 129,871. Twitter followers 99,123. El Paso, Texas USA About Blog The official Visit El Paso. Your leading source for all things #ElPaso! Keep up to date on all the latest events, attractions, special deals and much more. Facebook fans 43,501. Twitter followers 19,615. San Francisco, CA About Blog For anything pertaining to the greater El Paso, Texas area. Facebook fans 1,187,374. Twitter followers 556,878. El Paso, Texas About Blog A Political Blog in El Paso, Texas. The LionStar Blog, El Paso's premier source for insightful policy analysis with in-depth coverage of local, regional, state, and national politics. Facebook fans n/a. Twitter followers 975. El Paso, TX About Blog We are FOX Acura of El Paso. We have been serving the El Paso, Texas, Las Cruces & surrounding West Texas & New Mexico community since 1973. Whether you need to buy a new or used car, or just have your car serviced, we are here to serve you. Facebook fans 2,775. Twitter followers 59. El Paso, TX About Blog Settle in El Paso is a family blog that focuses on lifestyle, parenting, family activities, child development, DiY, and travel. Facebook fans 1,044. Twitter followers 1,362. El Paso About Blog Your daily dose of truth and transparency in government. El Paso About Blog We provide win-win solutions to help homeowners get out of their sticky situations… like Foreclosure, owning a burdensome property, probate, or anything else. El Paso Property Buyers is a real estate solutions company based out of El Paso. We’re a family owned business and focus on helping homeowners like you find solutions for your problem whether you’re going through a foreclosure, can’t sell your property, or just need to sell their house for all kinds of reasons. El Paso, TX About Blog This Criminal Defense and Family Law blog by Rosales Law Firm offers information and commentary for residents of El Paso, Texas. We specialize in criminal defense, family law, employment law and immigration law. Facebook fans 110. Twitter followers 5. El Paso, TX About Blog This blog by Law Office of Douglas C. Smith is geared toward El Paso, Texas residents interested in news and information on the topic of Family Law. Facebook fans 38. Twitter followers 7. 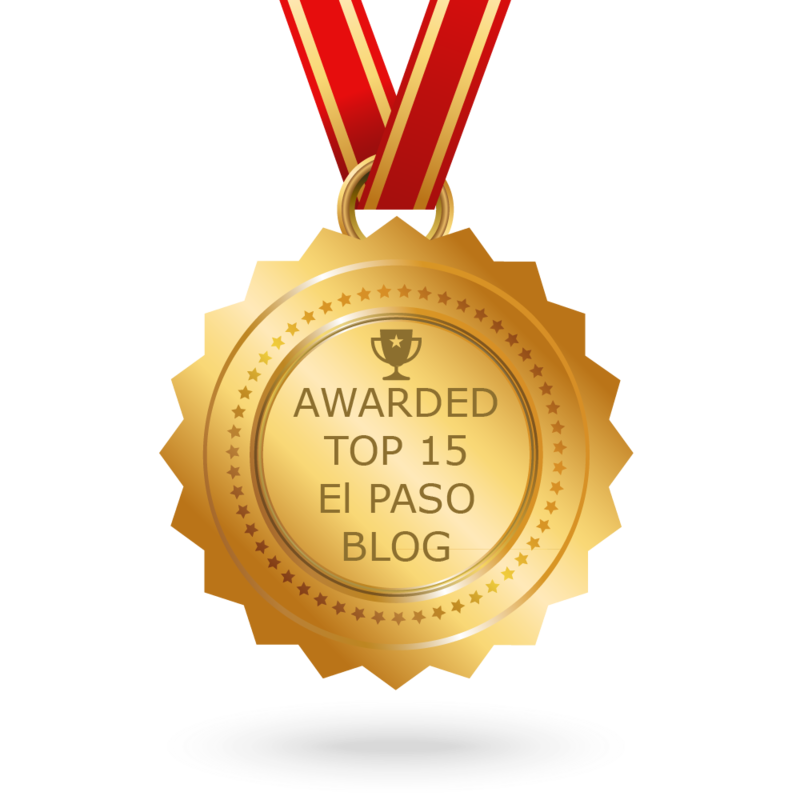 CONGRATULATIONS to every blogger that has made this Top El Paso Blogs list! This is the most comprehensive list of best El Paso blogs on the internet and I’m honoured to have you as part of this! I personally give you a high-five and want to thank you for your contribution to this world.